Coffee mornings are held every Saturday from 10 till 12 noon, in the Church Community Centre. Come along and join us for refreshments and fellowship. First Saturday of every month there is a cake stall for Church Funds. 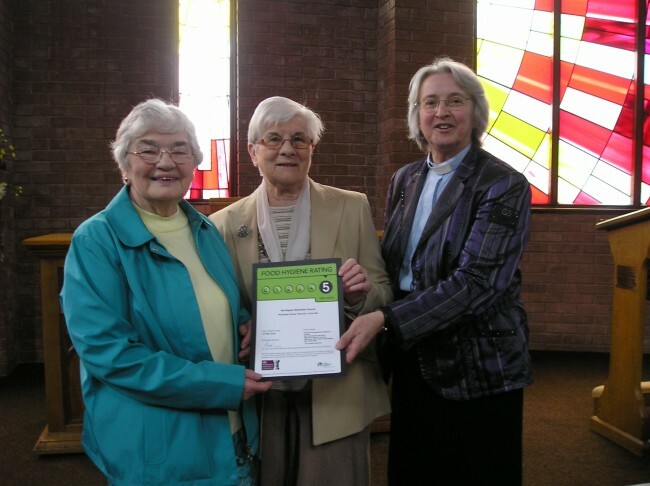 Rev Jean Fletcher presenting the 5 star certificate to Brenda Armstrong and Cynthia Webb, from Warwick District Council, following recent inspection of the kitchen facilities in the Community Centre. This is the top award – well done ladies.